We wanted to ensure that we didn’t compromise or lose that much-loved classic mayo taste in our pursuit of creating a Real Food, Healthy Chili and Lime Avocado Mayonnaise. A smaller jar that is perfect for those with a smaller appetites, for taking away on travels or gifting to a friend. Dollop on a superfood salad, sizzling steak or just spoon straight from the jar – we do! Seed & Grain Oils originally created as mechanical lubricants, have been shown to contribute to inflammation and high in Omega 6. Eggs from questionable or unknown sources. Hidden sugars, vinegar made from wheat and other allergens. We have locked in the goodness of 8 avocados per jar, with absolutely no compromise on taste or texture. Cold pressed from only the avocado flesh, it’s high in monounsaturated fats (the heart-healthy fat) and the antioxidant Vitamin E – it really is oil good for you! 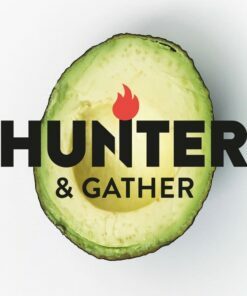 Hunter & Gather Garlic Avocado Oil Mayonnaise: What are you waiting for?